Aroma: ripe red fruit, balsamic notes of lavender and rosemary, very mineral and a very pleasant freshness. Taste: velvety, very long and presitent, notes that are at once complex. The Domènech family, originally from Falset, owns since 2002 one of the oldest vineyards in Capçanes, south of Priorat, protected under the Montsant designation of origin. Located 450-500 m high, between the Sierra de Llaberia and the Montalt, surrounded by mountains with lush forests and underground springs, with a unique microclimate and a diversity of soils, this terroir gathers the necessary elements to produce unique wines and spirit. Its environment allows you to listen to nature and produce honest wines with your landscape, performing each process in an efficient way, through green and sustainable practices. 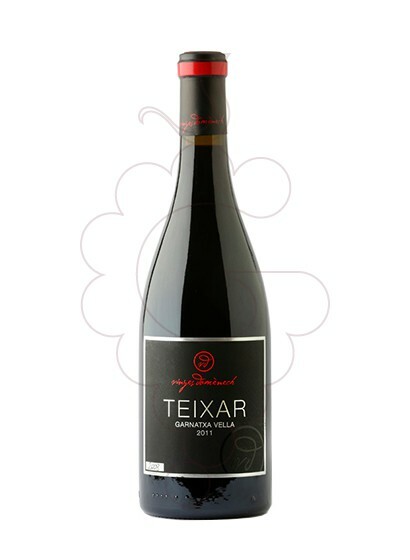 Teixar Garnatxa Vella , red wine D.O. Montsant, one of the more than 9000 products you can find in our online shop.